The e-commerce industry is growing significantly in India and is expected to add tons of jobs in the years to come. It is a rapidly expanding sector, resulting in thousands of new job opportunities every year. This is a relatively new industry and job profiles are still ‘green field’. In India, ecommerce companies have an informal work culture with flatter hierarchies – they behave more like technology companies rather than retail organizations. Nevertheless, retail skills and competencies are necessary for success – this is a business of selling merchandise to consumers, after all. 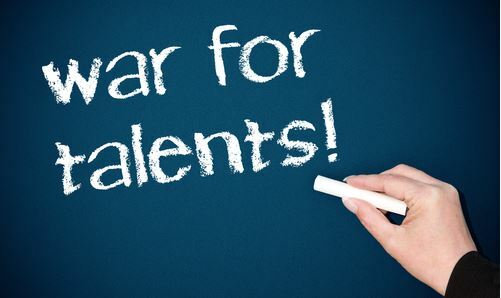 But for this emerging industry, where is talent coming from? Having worked with leading ecommerce brands in the US and seeing their teams work together, I know that the competencies needed to succeed here include online merchandising, online marketing, pricing, supply chain management and customer service skills, in addition to technology skills. Given that this is a sunrise industry without any significant presence of organically grown talent, it seems like successful ecommerce players (at least, the Top 5) are relying on external consulting firms to bridge this talent gap while their employees build these competencies organically. The increasing presence of consulting firms in this industry is good news for ecommerce companies. With relative ease, one can find a consulting firm to fill any latent competency gap within the company’s talent profile – SEM, Analytics, Assortment Planning, etc. It is great for consulting firms as well – with growth comes increasing demand for their services. 2. Or worse, ecommerce companies start to ‘poach’ talent from these consulting firms to work for their organizations? Both scenarios are currently unfolding in the US. Retailers and brands have been investing in building their internal competencies in online retail. Retailers are investing in growing their ecommerce teams’ competencies and a significant portion of this investment is going towards hiring new talent. And guess where a good portion of this talent is coming from? From consulting firms that have built these competencies by providing ecommerce related services to these retailers and branded manufacturers. We are seeing a noticeable flow of talent from consulting firms into retail companies as employees see that their talents are more valuable within a retail organization since ecommerce investments are increasing. Additionally, people who have already made this transition are seeing that their value in the market is increasing as other retailers are actively wooing them to join the retailers’ teams. Once an individual has made the transition from a consultant to a retailer, their value seems to grow more. Of course, all this is temporary until the market reaches equilibrium. But until then, as the saying goes, talented individuals are making hay while the sun shines. It will be within reason to expect a similar pattern to unfold in India as ecommerce takes center stage and private equity investments gives ecommerce leaders enough capital to attract top talent from agencies and other retail organizations. Individuals who have already made this transition from consulting to retail and have a couple of years of experience under their belt, will find that their skills are valued exponentially higher than their counterparts who have not made that transition yet. Individuals who have already made the transition from consulting to ecommerce when this tidal wave hits, will find their skills valued at an exponentially higher levels than their peers. eCommerce might be the coolest job, but it is one of the most challenging job at the times. There is too much of pressure to meet the goals especially with the SEO and PPC. Having worked with some eCommerce sites, I can definitely say that although it seems like the coolest job, it is not!